1,183 pages | 1535 B/W Illus. "The long-awaited fifth edition of 'the' reference in surgery is out! This collective work (I counted more than 70 contributors!) provides the veterinary practitioner with the latest surgical knowledge. 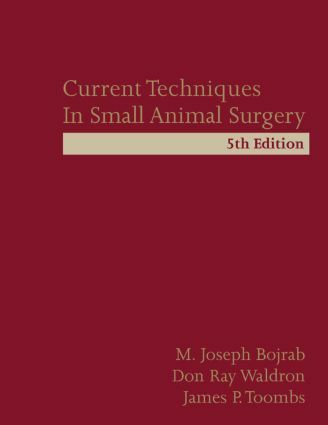 The various authors go beyond scalpel techniques: analgesia, bandaging, microsurgery, laser surgery, or diagnostic tests, to name only a few, are detailed and clearly explained in the 1163 pages. They are also backed up by numerous references. Nice drawings and a few black and white photographs illustrate the key points. No doubt your fourth edition surgery bible is well worn, so get the new one. You’ll use it for many years."